First is The Walking Dead: The Pop-Up Book by David Hawcock, Sally Elizabeth Jackson, S. D Perry, Becca Zerkin. 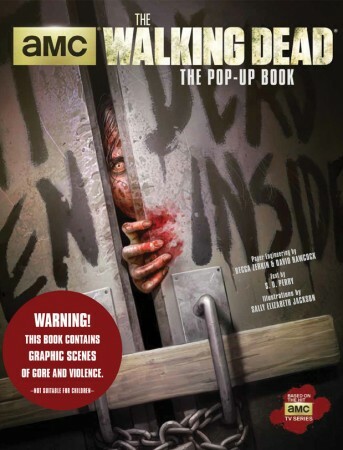 "Based on AMC’s The Walking Dead, this blood-curdling pop-up book brings the hit TV series to life like never before. Lurking within its pages are more than twenty ingeniously crafted pop-ups that add a horrifying new dimension to the series. Experience the terror of “Bicycle Girl” reaching out with her decaying arms; the ravenous walker hordes crowding the streets of Atlanta; Michonne’s deadly katana skills; and the horror of a walker feeding frenzy. Plus, go inside some of the most memorable locations from the television series and discover the battle-torn West Georgia Correctional Facility, Hershel Greene’s doomed farm, and the gut-wrenching secrets of Terminus. 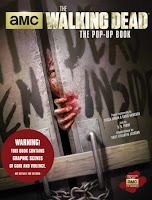 Featuring ten pages packed with exclusive pop-up illustrations and blood-drenched action, AMC’s The Walking Dead: The Pop-Up Book is a uniquely terrifying way to experience the walker apocalypse." 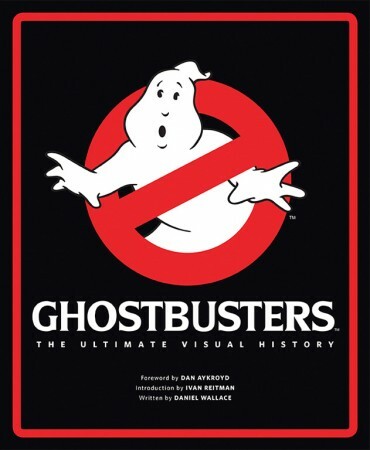 And here's a new look at a classic - Ghostbusters: TheUltimate Visual History by: Dan Aykroyd, Ivan Reitman, Daniel Wallace. "Who you gonna call? The Ghostbusters saga has been thrilling fans around the world for over three decades, from the original movies to the animated shows, comics, video games, toys, and other collectibles. For the first time, Ghostbusters: The Ultimate Visual History takes a comprehensive look at the entire franchise, telling the complete story behind the creation of a true pop culture phenomenon. Beginning with an in-depth look at the original film, Ghostbusters: The Ultimate Visual History delves into the archives to showcase a wealth of never-before-seen concept art and photography that will take fans into the production of a true classic. Also featuring a large section on Ghostbusters II, the book brings together exclusive interviews with the key players from both films, including director Ivan Reitman; stars Dan Aykroyd, Ernie Hudson, and Sigourney Weaver; and producers Michael C. Gross and Joe Medjuck. The book also explores the creation of The Real Ghostbusters and Extreme Ghostbusters animated shows, featuring interviews with the writers, animators, and voice artists, plus previously unseen sketches, animation cels, and other stunning visuals. With additional sections on Ghostbusters comics, video games, merchandise, and fandom, Ghostbusters: The Ultimate Visual History is the last word on one of the most popular franchises of all time. 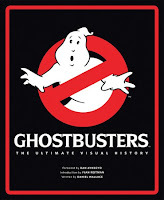 Also includes incredible items that will thrill Ghosbusters fans, including: ---Peter Venkman’s business card ---Sedgewick Hotel storyboard booklet ---Rare concept art sketches of ghostbusting gadgets ---Stay Puft Marshmallow Man package sticker ---Production notes ---A schematic of the Gozer temple miniature"